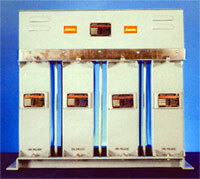 All PP Capacitors have been developed to overcome the limitations of MPP Capacitors. 1. In such current due to frequent Switching. 2. Current handling Capacity, because of presence of Harmonics in the Electrical Systems. Development in modern technology have led to a significant increase in the number of thyristor & converter fed loads & D.C. Drives. unfortunately the said equipment's have undesirable Effects on the incoming AC supply, drawing appreciable inductive reactive power & a non-sine-wave current, The Standard range MPP Capacitors are designed for systems where harmonics are not present. 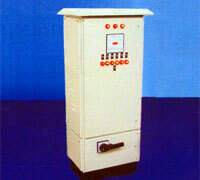 The rising capacitor is accommodated by constructional improvement of Jaivic all PP Capacitors. 1. It is two layer film design. Conductive plate thickness is high compared to PP Capacitors making the electrical stress very low. 2. Normal stress on dielectric PP film is very low. 3. 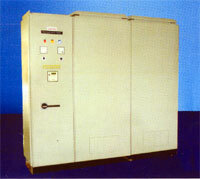 ALL PP Film Capacitors are impregnated with non-toxic low viscous stabilized impregnant under high vacuum. This result in inpregnant fluid replacing air-pockets, due to this capacitors develop very good partial discharge characteristics. This attributes to voidfree impregnation of capacitors eventually developing very good partial discharge characteristics. 4. ALL PC Capacitors have the capability to bear harmonics and withstand high inrush current owing to sturdy construction. Impregnated capacitors oil results in excellent heat dissipation. 6. Power factor of the system remains unaffected for an appreciable period of time. Highly suitable for Automatic Power Factor Correction. An excellent selection for Automatic Power Factor correction. 7. Initial cost is higher compared to MPP Capacitors but its long life & consistent unchanging performance makes it cheaper.